DECEMBER 31--As if being linked to one high-profile criminal case weren't enough, President-elect Barack Obama's name may soon pop up in another federal prosecution, this one involving a massive Ponzi scheme (no, the other massive Ponzi scheme). 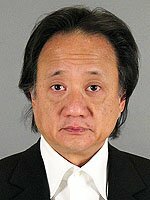 In addition to the Rod Blagojevich pay-for-play probe, Obama could figure in the upcoming fraud trial of Norman Hsu, the disgraced Democratic fundraiser who was charged last year with operating a $60 million pyramid scheme. According to investigators, Hsu, a major Hillary Clinton fundraiser, pressured investors to donate money to political candidates with whom he was aligned. In a letter last week to U.S. District Court Judge Victor Marrero, Hsu's lawyer, Martin Cohen, requested a 60-day delay in the start of Hsu's trial, scheduled to open January 12 (Cohen cited the 'extraordinary level of negative publicity' generated by the recent arrest of alleged Ponzi schemer Bernard Madoff). Before becoming a key fundraiser for Hillary Clinton's presidential bid, Hsu co-hosted a 2005 California fundraiser for Obama's political action committee and introduced the Illinois Democrat to Marc Gorenberg, a Silicon Valley venture capitalist who later joined the Obama campaign's national finance committee.